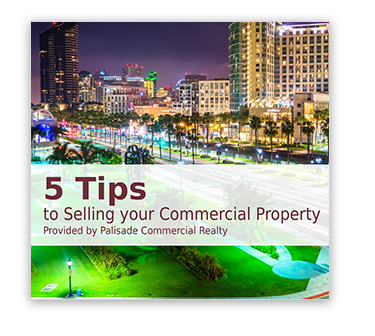 Thinking of selling your commercial real estate property? Attracting qualified buyers to your listing can be a confusing process if you don’t have a plan. We take the time to understand your situation and create a personalized plan to maximize your profit and goal. Our plan typically includes listing the property on the local and major national commercial listings Internet sites. We network with buyers, investors and the business community who will all receive our literature about your property. If people are not aware of available properties, they are unlikely to inquire. There is more to advertising your listing than placing a sign and leaving it forgotten. An effective mix of marketing and property promotion will attract the right buyers. Visible, high quality signage is focused on showing the passing traffic that your building is available for sale, what type of building it is and giving a contact phone number. Other agents that focus on their names, titles and logos are more interested in advertising their own business rather than your space. More and more investors are searching online than ever before. Not only will your listing be on the top commercial real estate databases, it will also be listed on databases that business professionals can access directly. An online presence in multiple databases will allow your building to be viewed by many potential buyers. If your building is located in an affluent area, you are likely to be able to charge more in rent than a competing building in a less desirable location. Proximity to freeways, airports, major shopping centers and public transportation can all affect your asking price. Is your competition charging more or less? What services are they offering to new tenants? Incentives and rates from competitive buildings in your area will also be factors to consider when adjusting your pricing. Depending on your tenants’ needs, traffic counts – whether high or low – will be preferred by a particular type of business. Finding your nearest intersection’s traffic count can be a great tool when negotiating with potential buyers.